Bombardier’s flagship business jet, the Global 7500, received Federal Aviation Administration (FAA) certification, reaching another important step in the company’s plan for the aircraft to enter service later this year. “The Global 7500 business jet has proven itself as the highest-performing aircraft in the industry and promises to revolutionize the market and significantly change the business aviation landscape,” said Michel Ouellette, senior VP, Global 7500 and Global 8000 Program, Bombardier Business Aircraft. After accumulating more than 2,700 flight hours since its testing began in November 2016, the Global 7500 aircraft earlier this year was shown to be the longest-range business jet ever built with a rated range of 7,700 nautical miles. In late September 2018, the Global 7500 received Transport Canada type certification. The aircraft has not yet been certified by the European Aviation Safety Agency (EASA), but it is expected to follow shortly. Bombardier explains the Global 7500 aircraft is the only business jet that can connect New York to Hong Kong, and Singapore to San Francisco, nonstop, traveling at its optimum cruise speed of Mach 0.85. The jet can reach speeds of Mach 0.925. The Global 7500 aircraft also debuts Bombardier’s new, patented Nuage seat, which will be exclusive to the new Global family of aircraft. 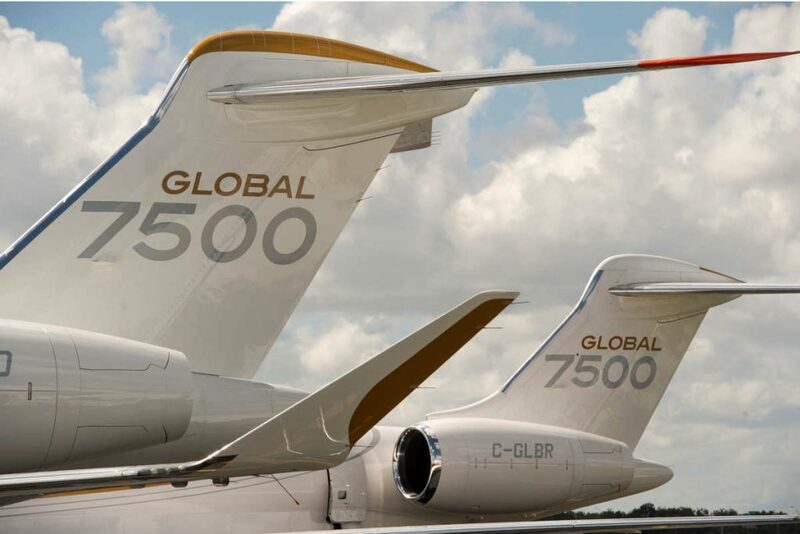 “Obtaining the Global 7500 aircraft Type Certification from the FAA marks one of the final chapters in our very successful development program,” said Stephen McCullough, Bombardier’s VP of integrated product development for the Global 7500 and Global 8000 Program.